Kinosaki (城崎町) was a town located in Kinosaki District, Hyogo Prefecture. The town is a popular hot spring resort at the north part of Hyogo Prefecture. It is on the west side of the Maruyama River flowing into the Sea of Japan, and the town is along the Ohtani River, a small tributary of the Maruyama River. 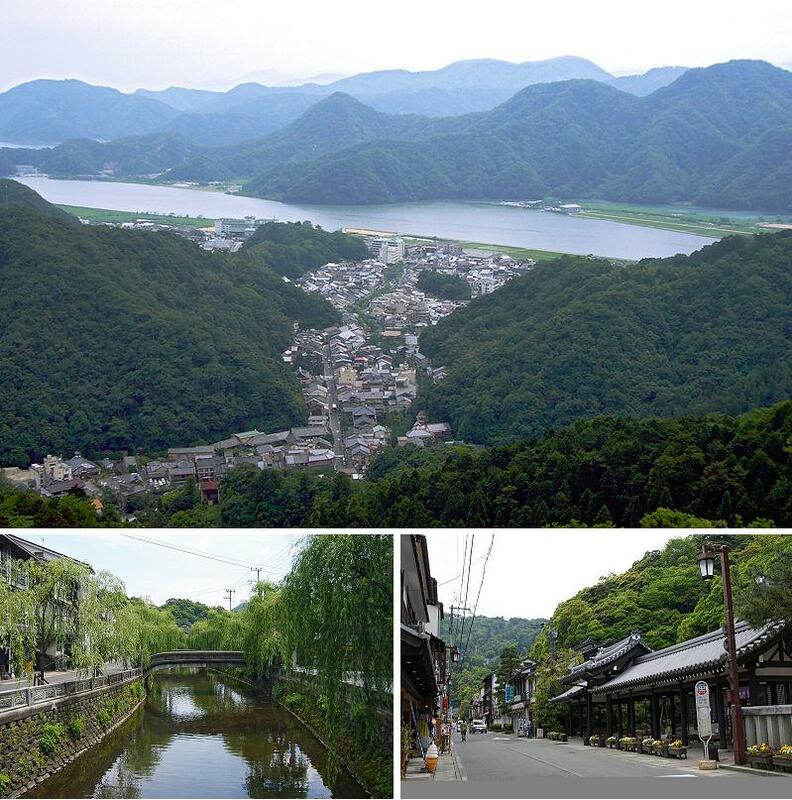 On April 1, 2005 Kinosaki, along with the towns of Hidaka and Takeno, all from Kinosaki District, and the towns of Izushi and Tanto, both from Izushi District, was merged into the expanded city of Toyooka and no longer exists as an independent municipality. 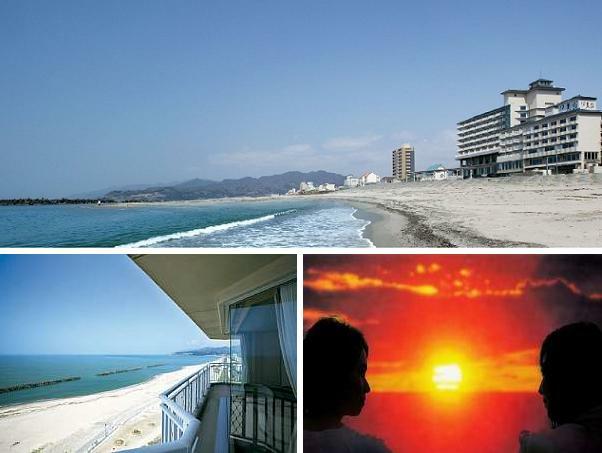 Kinosaki is famous as a resort area, with Onsen based in its natural hot springs. 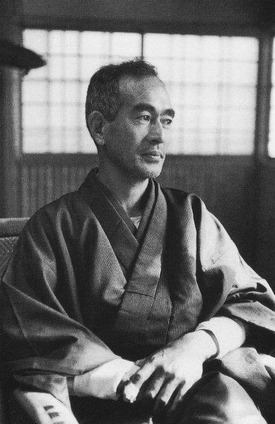 In 1913, the writer Naoya Shiga came to Kinosaki and stayed there for three weeks. 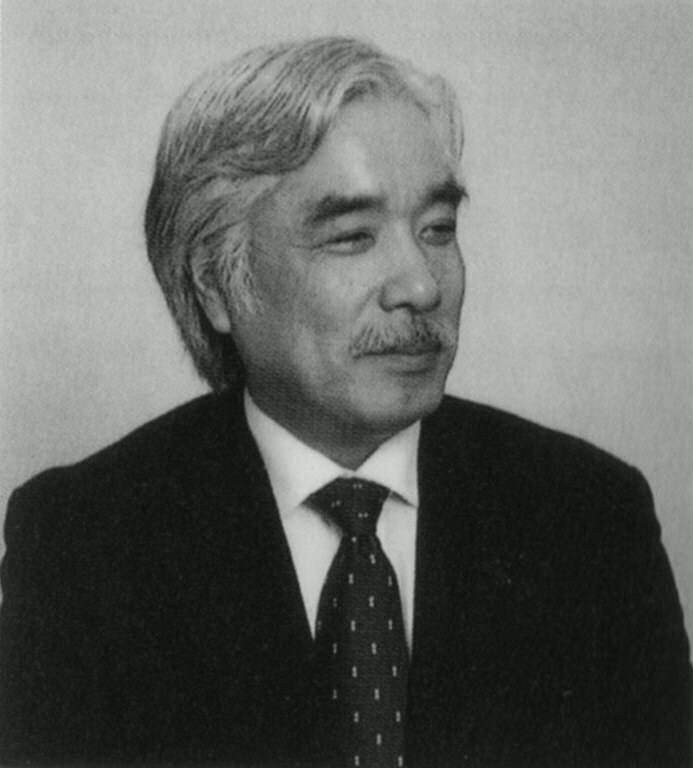 Kinosaki provided inspiration for his short story, Kinosaki ni te or “In Kinosaki”. Readily accessible by rail, this fascinating center attracts thousands during holidays to luxuriate in the spas fed by geothermal sources below the town. Groups of visitors can be seen wandering the streets in ‘Yukata’ cotton kimono accompanied by the characteristic clicking of ‘Geta’ or the traditional wooden clogs one can see lined up in the entrance halls of the hotels. A feature is the fountains in the square where mesh bags of eggs can be immersed and boiled while you wait. There are several small ponds of running hot water where one can sit by the edge of the road and relax while soaking one’s feet. A ropeway at the far end of the street take visitors to the lookout or one can walk there. It is said that a wounded stork was found first, which healed the wound here in the 7th century. In 717, high priest Douchi visited here. To help people with bad disease, he performed ascetic training here for a thousand days. Then new hot spring gushed in 720. 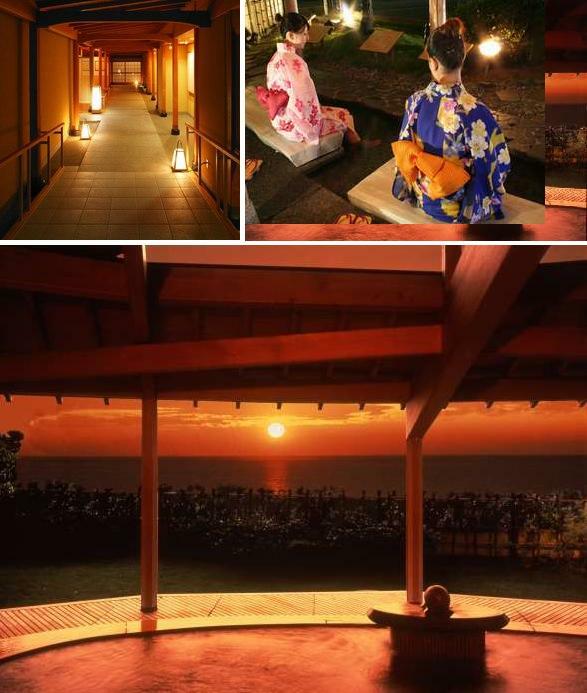 It is current “Mandara-yu” hot spring, and Kinosaki hot spring resort was opened at that time. In the popular hot spring ranking list made in the 19th century, Kinosaki hot spring was ranked the second of western Japan, after Arima Onsen resort. Many hotels and Onsen inns are on the both side along Ohtani River. And many willow trees are by the river, and the scenery is the symbol of Kinosaki. As a certified guide-interpreter in English and also a writer of the website “Cool Japan Guide”, I am very happy to introduce ‘Kinosaki Onsen Resort’ in Hyogo Prefecture. If you have something to ask, like to make reservation, or need English speaking tour guide when visit there, please feel free to contact us. Thank you for your kind cooperation, I am looking forward to your contact. The tariff of ‘Kokian’ shows rather expensive rates, and number of guest rooms are limited only 16 which are rare in Yuda Onsen Resort. Each room is dotted in a man made forest. Room guests can enjoy staying in their rooms longer than those in other hotels. When you take bath at outdoor, your privacy is kept by surrounding forest. 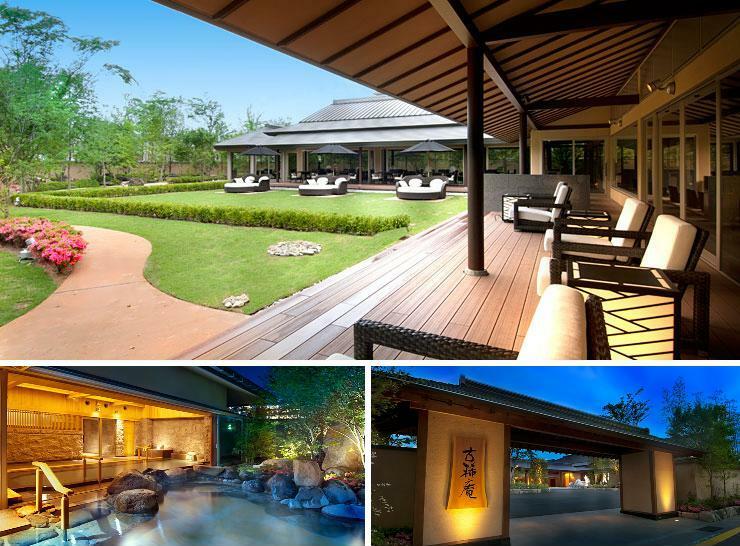 It is something like a mountain villa in a natural forest than a typical traditional Japanese landscape garden. The design concept is ‘Japanese Modern’ which is now popular in Japanese inns. Western living style, such as twin beds, closets, and other functional settings are tactfully arranged in a Japanese room decorated with traditional materials in Japan. ‘Manyo-no-yu’ in New Chitose Airport was considered as one of the main facilities in the airport building when the renovation was planned. It was expected to promote accessibility and attractiveness of the airport. The function of the New Chitose Airport is expected to dramatically heighten by the renewal work of the terminal buildings and renovation of both facilities for domestic and international airlines. It also helps to increase number of arrivals and hours of staying at the airport. As the entrance to Hokkaido, the airport building must provide much refined hospitality service to visitors and variety of menus to attract them while staying. 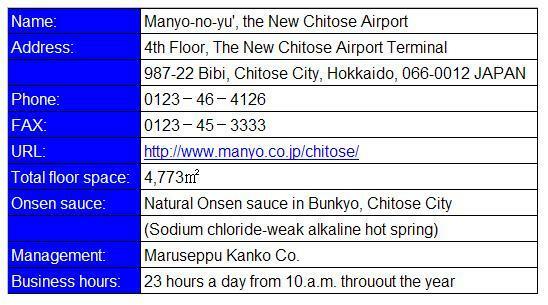 The purpose of ‘Manyo-no-yu’ in New Chitose Airport is providing valuable period at the airport as an orthodox relaxation facility with using first natural Onsen water at the airport and as one of the main facilities not only for air travelers but also for local visitors. 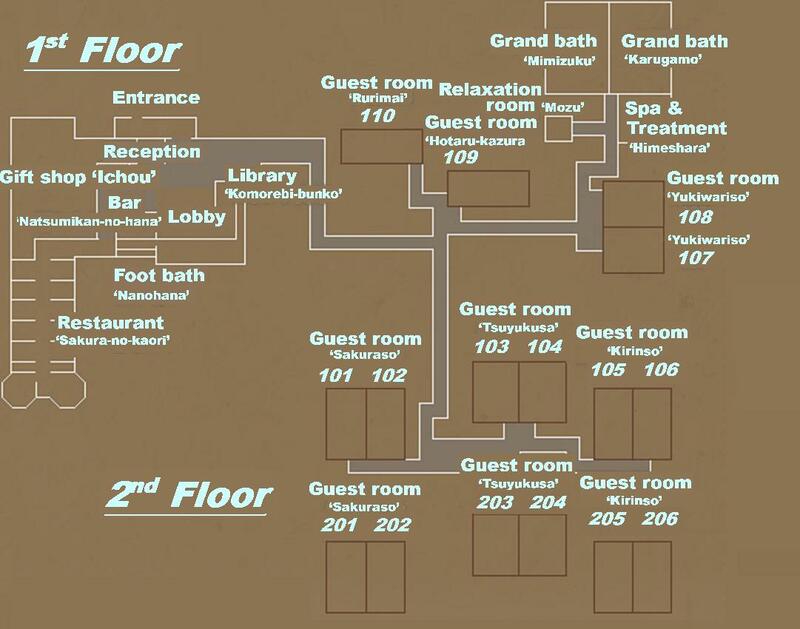 All guest rooms in ‘Itsutsuro’ have no bathrooms, so that two charter bathrooms and one open-air charter bath are equipped instead. However, some room guests like to enjoy bathing in rather wider grand bathroom. A special path connecting to ‘Kakujoro’ is prepared from the backyard of ‘Itsuitsuro’ for these guests. And also they can use the relaxation space ‘Riraku’ where famous SHISEIDO brand esthetic salon ‘Qi’ and L’OSERAIE is located. Japanese-style bar ‘Wakura’ is renovated from a 150 year-old traditional Japanese storehouse. Another attraction for the room guests is a Japanese-style bar ‘Wakura’ in town, which is renovated from a 150 year-old traditional Japanese storehouse. Parts of nearby facilities under the same management are effectively used for cover up lack of public facilities at ‘Itsutsuro’. Not only use public facilities, but also staff members from both inns help each other accordingly. Total number of staff for ‘Itsutsuro’ is only 10, including kitchen staff. As a certified guide-interpreter in English and also a writer of the website “Cool Japan Guide”, I am very happy to introduce ‘Roman-no-yado Itsutsuro’　in Aichi Prefecture. If you have something to ask, like to make reservation, or need English speaking tour guide when visit Atsumi Peninsula, please feel free to contact us. Thank you for your kind cooperation, I am looking forward to your contact. An almost decayed old Japanese inn in Fukue Town was reborn as ‘Roman-no-yado Itsutsuro’ on August 6, 2010. Its original structure was a long established Japanese inn built in 1830s, but was closed its business five years ago. The owner of ‘Kakujoro’ Japanese inn in the same town purchased the old structure and renovated it before reopening. Fukue Town is located at the tip of Atsumi Peninsula in Tahara City, Aichi Prefecture. It takes about 15 minutes from Irako Promontory by car. The town used to be a prosperous fishing port in the Atsumi Peninsula, but it takes more than one and 20 minutes from Toyohashi Station on the New Tokaido Bullet Train Line. 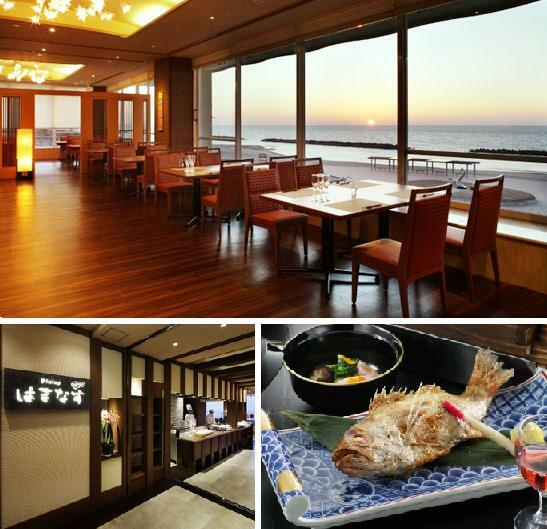 As well as putting special care on its renovation design, service style is also something different from other two properties in Tomonoura. Check-in and check-out procedures are done at the lobby lounge, and a cup of welcome tea is served there. Dinner and breakfast are served in the dinning room ‘Kaede’ for all room guests, except guests in upper suit rooms. The hotel staff tries not to visit guest room so often for keeping privacy of guests in the rooms. For creating image of the sea, wave, and islands in the Seto Inner Sea, beautiful china wares are used for dishing up. Local food products are used for cooking of a full traditional Japanese Kaiseki-ryōri. For creating image of the sea, wave, and islands in the Seto Inner Sea, beautiful china wares are used for dishing up. Each dish is cooked one by one in the kitchen and served promptly to the guest at the table. As in located in Hiroshima, different 11 brands of local sake or rice wine and 14 brands of local shochu or a clear distilled liquor are lined up on the beverage list. Varieties of 6 brands wine are also listed on it. Kaiseki menu makes seasonal change once in every two months. Breakfast is your choice among Japanese or Western style menus. A good quality of food materials such as organic vegetables and homemade soybean curd used for the dishes. Especially organic rice is purchased from local farm ‘Chikahiro Nosan Co.’ in Mihara city, which is characterized in sticky and sweet taste. The rice won the special finest prize among local rice at the 12th Rice Tasting Contest in Japan. Eggs for breakfast are given from natural feed hens. As a certified guide-interpreter in English and also a writer of the website “Cool Japan Guide”, I am very happy to introduce ‘Migiwa-tei Ochi Kochi’ in Tomonoura Onsen in Hiroshima Prefecture. 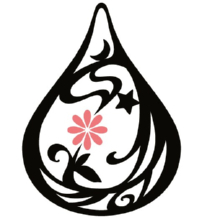 If you have something to ask, like to make reservation, or need English speaking tour guide when visit to Tomonoura Onsen Resorts, please feel free to contact us. Thank you for your kind cooperation, I am looking forward to your contact. *Rates above include tax and service charge. 10 existing guest rooms are reduced to 8 for providing 39 square meters for new standard twin rooms. Old banquet hall is useless for small family groups and is remodeled to 3 new upper-suite rooms instead. The inn could increase number of guest rooms from 16 to 17 rooms all together because of the above renovation. Each guest room has wooden deck and open-air bathroom is laid out on it where beautiful ocean view can be observed. Onsen water from ‘Tomonoura’ is used for all these open-air baths. Original design beds are placed on ‘Ryukyu-tatami mat’ in the modern taste Japanese style rooms. Beds from the maker in Hiroshima and Simon co. in USA are arranged in the guest rooms. Different furniture and fixture in original design and colors are arranged in each room. Sophisticated arrangements on tools and amenity goods in the guest room, such as double gauzed pajamas, adjustable pillows in thickness and softness, and famous ‘Arita-china’ coffee cups, are also their original idea. And additionally, multiple use audio system available for CD, DVD, and Blu-ray Disc, air cleaner, and a set of coffee maker are standard in each guest room. Standard twin room is consisted of 10-tatami bed room, wooden terrace, and open-air bath room. Beds are made by Simon co. in USA. A liquid crystal display television with multiple use audio system available for CD, DVD, and Blu-ray Disc, air cleaner, and a set of coffee maker are arranged. Wide-view twin room is consisted of 10-tatami bed room, wooden terrace, and open-air bath room. Beds are made by Simon co. in USA. A liquid crystal display television with multiple use audio system available for CD, DVD, and Blu-ray Disc, air cleaner, and a set of coffee maker are arranged. Corner-view twin room is arranged at the corner of each floor from 2nd to 5th. It is consisted of 10-tatami bed room, wooden terrace, and open-air bath room. Open-air bath is arranged separately on another wooden terrace. Beautiful sea vista can be observed both wooden terraces. Beds are placed directly on the tatami-mat only in this type. Suite room is consisted of twin-bed room, Japanese style living room, wooden terrace, and open-air bath room. Powder corner, washing area, and open-air bath are arranged in the bathroom. The bathroom is surrounded by ‘Muso-style’ wooden door for avoiding strong wind and sight from sailing boats on the sea. 1,200mm width beds are placed on the slatted wooden flooring for reducing humidity in the room. Living dinning area is consisted of two Japanese type rooms; 6 and 10 tatami rooms. Window side is widely open to the ocean view. Original designed room furniture and fixture are arranged.